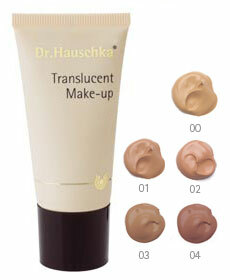 Translucent Makeup from Dr.Hauschka Skin Care, NEW at Evelyn Braddock Studio! A gentle liquid foundation that enhances the skin’s naturally radiant glow for a dewy, flawless look. Mineral pigments blend uneven pigmentation while plant extracts, oils and waxes moisturize and protect.